Here we are, simply put…I was excited to try my new 12-inch bamboo steamer, definitely much larger than the mini 6-inch one I used in the past. 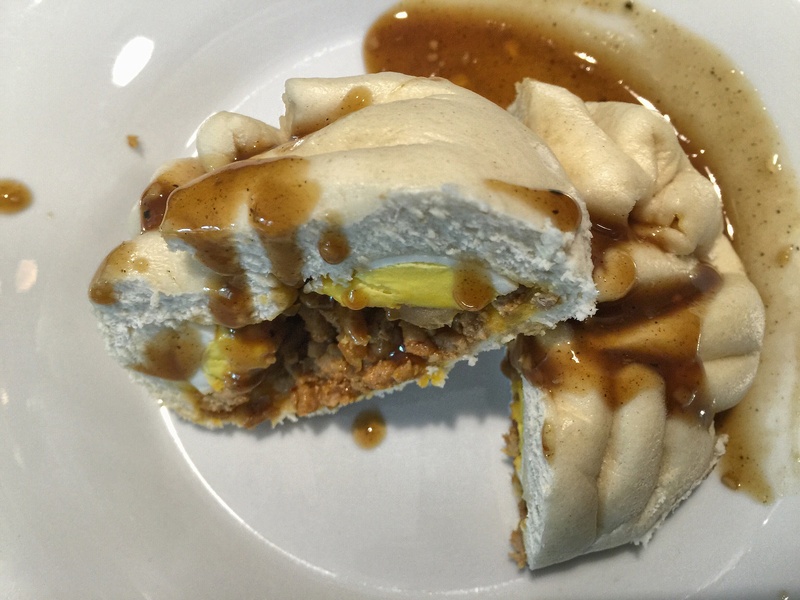 What better way than to break them in with some Filipino-style siopao (Pork buns with hard-boiled eggs)! Next sauté the garlic and onions. Put the pork and cook until the color of the outer part turns light brown. Add the soy sauce, oyster sauce, hoisin sauce, five-spice seasoning, and sugar then mix the ingredients well. Sauté the mixture for about 10 minutes. Put the corn starch (diluted in water) and mix until the texture of the sauce becomes thick then set it aside. Make the dough by placing warm water in a bowl then add the yeast and sugar. Mix it thoroughly. Leave the mixture for about 10 to 15 minutes. In a mixing bowl, put the flour, baking powder, shortening , and the yeast-sugar-water mixture then mix well be sure bubbles should have formed on top by then. Knead the combined mixture until the texture of the dough becomes fine. Let the dough rise by setting it aside for at least about an hour (leaving it in the mixing bowl and covering the top ). Flatten the dough until a round shape is formed using a rolling-pin. Place the created siopao in a steamer and steam for approximately 15 minutes. Heat the saucepan and pour in the vegetable stock. Bring to a boil. Add the onions, garlic, soy sauce, Worcestershire sauce, brown sugar, salt, ground black pepper, and simmer for about 8 to 10 minutes. Add the cornstarch diluted in water then stir continuously until the texture becomes thick. Turn off the heat and allow the mixture to cool down then transfer the siopao sauce to a serving container. 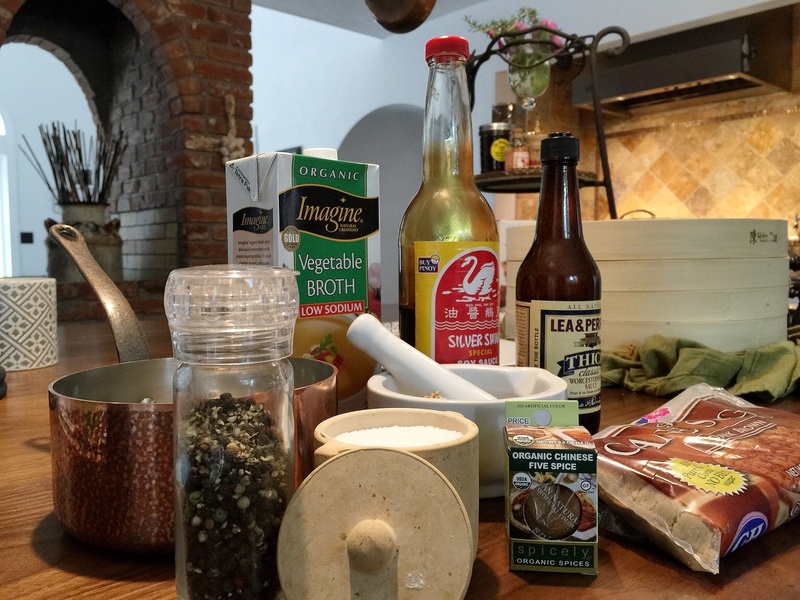 Posted in Menu, Snacks and tagged comfort food, Filipino Food, foodies, homemade, made from scratch, the cooking apprentice. Bookmark the permalink.